Although my interest in mainline Final Fantasy games has diminished quite a bit since the dusk of the PlayStation (as in, PSone) era, that doesn't mean that I ignore them completely. Actually, I was pretty interested in Final Fantasy XIII until it came out and everyone complained about it. (Granted, I had neither a PS3 nor an Xbox 360 at the time, so my interest in the game was bound to give way at some point.) 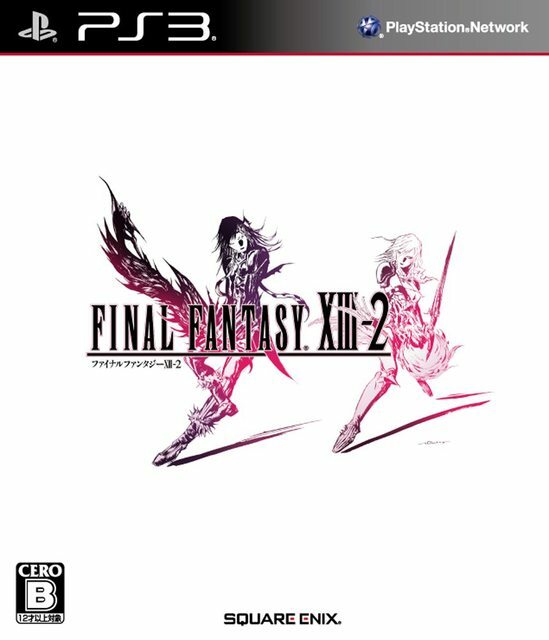 I'm similarly interested in that game's strangely titled follow-up, Final Fantasy XIII-2, although I have to admit I have my doubts as to whether I'll ever acquire or play it. While I hem and haw over that decision, why don't we play another game of "Which Box Art is Better?" --with the focus of said game being the aforementioned semi-sequel. As far as I can tell, by the way, the European version of the game, which will be released on Feb. 3, 2012, will feature the same box art. Personally, I prefer the black-purple-and-white simplicity of the European and Japanese cover art. That's not to suggest that I think the North American art is bad. Rather, for me it's more of a case of--how should I say this?--gilding the gaming lily. I prefer the classic FF style. JPN and EU for me! a response from the comment on my blog: Yeah Hot Shots is very similar to Mario Golf on N64. Camelot made those games, and they created the original Hot Shots Golf on PS1. Clap Handz took over the rest of the series. That last comment was aimed at Adam, BTW. Thanks, Adam! I thought Clap Hanz made all of the Hot Shots Golf games and had no idea Camelot made the first one for PS1. I think I may have to pick up that one first, since I absolutely loved Mario Golf on the N64. Classic EU and JP style for me. You americans used to get 60Hz and no crappy borders in your FF games but we got the classier box art! Thought the CG models on the covers looked tacky. The regional differences are interesting and even a bit funny, aren't they, Retr0gamer? What is it about Europeans that make them more likely than North Americans to accept the same simple cover art that will be used in Japan? Or is it just that NA marketers *think* that we're less likely to accept such art? I'm not sure what it is really. For the more anime covers I think it's because on the continent anime is more accepted and widespread than in the UK or Ireland which is why we get something like Suikoden which is just like the JAP box and not the god awful US one. Lots of anime and manga got localised on the continent but never made it to the UK and Ireland. I'm not sure what it is but for the majority the EU box art is always better than the US box art. 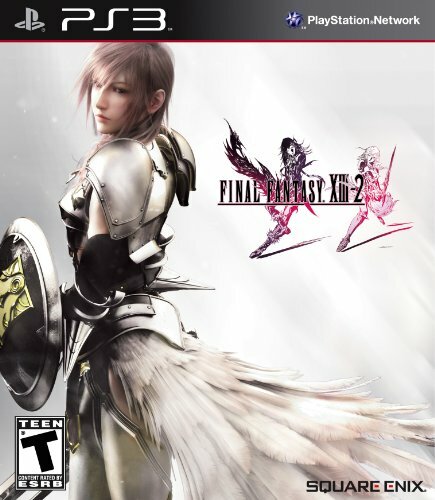 EU box art seems to be a bit artier while the US ones like to show some crappy CG which looks terrible. Case in point BoF Dragon Quarter. I couldn't tell you why though. I'd still would have had preferred 60 Hz and naff box art to the PAL conversions we got though. Yeah, I'm sure there are a number of reasons why there is such a difference in box art from region to region, Retr0gamer. At the very least, the reasons you share here seem plausible enough to me! Hey there, Marco! I think you may have hit 'publish' in the middle of your comment. Seems you were about to say that you prefer the NA art, though, eh? I really enjoy this type of article, box art has interested me since the days of the SNES. I've nearly always preferred the Japanese style over the US versions...they just seem more imaginative overall to me. Japan and EU for this one in my eyes too, just hope that XIII-2 is better than XIII!! Anyway, I'm like you in that I tend to prefer Japanese box art over Euro and NA versions. There are some exceptions, but not many. Sounds like you weren't a big fan of XIII, huh? I guess I didn't miss much then. I sure would like Square to make another mainline FF a la FF IX, which would kind of bring the series back to its roots, so to speak. That's a really good call actually, I adore FF IX and I was gutted that it was shunned for trying to take the series back to it's roots somewhat. I'd like to see the next one take the FF VI route, and go steampunk...all these emo teens are starting to bore me! Ah, I'm glad to hear I'm not alone in liking FF IX in particular -- and some of the older FFs in general. Also, yes, a future FF that takes the FF VI route would be amazing!